A Napa Valley wine tour is a lovely experience that you’re ready to share with your friends and family. This more true when you choose Balloons Above the Valley (BATV) when you decide to take your Napa Valley holidays to the next level. 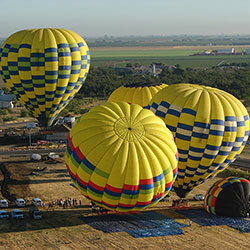 BATV offers the San Francisco Balloon and Wine Tour Package which is highly sought after by those visiting the area. In this package, we will take you from San Francisco’s downtown to the Wine Country through the comfort and luxury of a limo bus. You will also stop at the vista point to view the world-famous Golden Gate Bridge and take pictures of you with the bridge in the background. As you tour around the Wine Country, our knowledgeable chauffer will chat about the various wineries and other points of interest. You will also have the chance to visit two wineries in Napa and two in Sonoma Valley, and have the chance to enjoy an olive oil tasting. A deliciously tempting picnic lunch is served during your break from touring the wineries. BATV will bring you to see the beauty of the Napa Valley in a more unusual perspective, something that you will never be able to appreciate when you’re on the ground. Riding on a hot air balloon, several thousand feet up in the air, you will be able to view at the neat rows of grapevines, working like a lovely quilt in the undulating terrains, against the beautiful rolling hills. That and the sunrise that gradually floats above the horizon are surely an unbeatable combination to make your morning easily the highlight of your Napa Valley wine tour. After the wonderful airborne journey, you will be feted with a post-flight brunch with a sparkling wine! Of course we won’t let you end your day with just hopping off the hot air balloon basket. You are entitled to have your post-flight brunch celebration at eating places that partner with BATV: Oxbow Public Market, Napa Valley Marriott, Chalk Hill Winery, and Langtry Estates. If you want to enjoy your brunch and lunch at the Oxbow, especially for first time visitors, then you will be amazed at what you can find there! Oxbow Public Market is located in the Oxbow district. It has become one of the best places where foodies gather for excellent food and wine in downtown Napa. You may prefer the Oxbow Public Market because there so many choices there — it isn’t called the “Food and Wine Emporium” for nothing! If you’ve had a field day visiting several wineries in Napa, the Oxbow Public Market will be a breath of fresh air, so to speak. Despite that, wines have a place of honor at many grub hubs in Napa, and so they will have a place at Oxbow. What’s more, several markets sell premium quality wines. You will find about a dozen of establishments that consist of food stores and restaurants. Many of these stores sell their specialty products: the world-famous Anette’s Chocolates, Kara’s Cupcakes, and Ritual Coffee Roasters are only a few of the stores that sell their own artisanal products — guaranteeing you nothing less but high-quality food. The restaurants at Oxbow include C Casa, dubbed as the “innovative taqueria” in Napa Valley, and one of BATV’s recommended places to have your post-flight brunch. Their much-lauded tacos are stuffed with only premium quality and the freshest ingredients. You can choose from their many kinds: chorizo tacos to salmon-stuffed tacos. Their other must-try dishes include the huevos rancheros, guacamoles, seasoned ground buffalo, C Casa Chicken, fresh and seasonal mixed greens, enchiladas, and a whole lot more. The restaurant serves their meal in both buffet and ala carte styles. C Casa’s food and service have been praised by their customers. Recently C Casa has been honored with a “Bib Gourmand” from the Michelin Guide. C Casa has indeed elevated Mexican street food into a more gourmet level in Napa Valley. Even after almost four decades in the service, Balloons Above the Valley never stops striving to give the best to our clients each day. 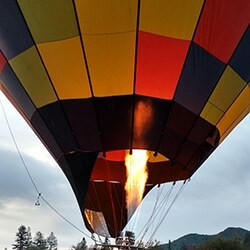 An adventurous and thrilling hot air balloon ride over the Napa Valley, delightful wine tours, and brunches at one of the best local places to eat and shop in the region — Balloons Above the Valley will make your Napa Valley tours even more special and more memorable.